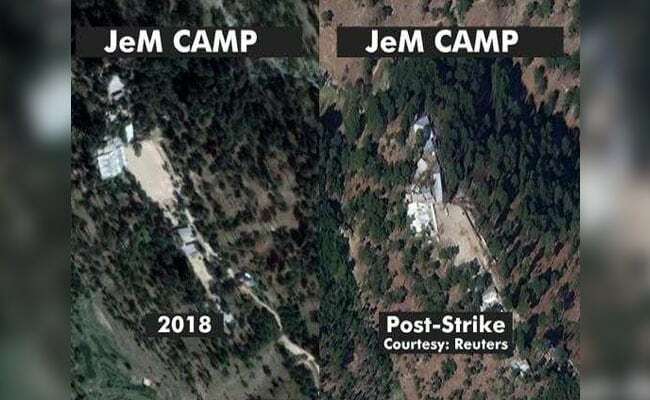 Post-strike images of the Jaish-e-Mohammed terrorist training camp in Pakistan’s Balakot appear to show bomb impact points on a large structure in addition to significant damage on the ground at the site. On February 26, the Indian Air Force had struck the Jaish-e-Mohammed’s Balakot training camp, using Mirage 2000 fighters armed with SPICE 2000 satellite-guided bombs. NDTV has learnt that the IAF used the “penetrator” variant of the weapon, which is designed to pierce buildings and structures but not necessarily bring them down. According to the military aviation specialist Angad Singh, “big penetrators [like the SPICE 2000] spend most of their mass on the casing”. “There is no hard and fast rule that a 2000-lb class bomb will wipe out half a hillside,” he said. Earlier on Wednesday, news agency Reuters, quoting satellite imagery experts, had disputed the claim of the Indian Air Force and the Government of India that they had successfully struck the Jaish-e-Mohammed’s Balakot camp. 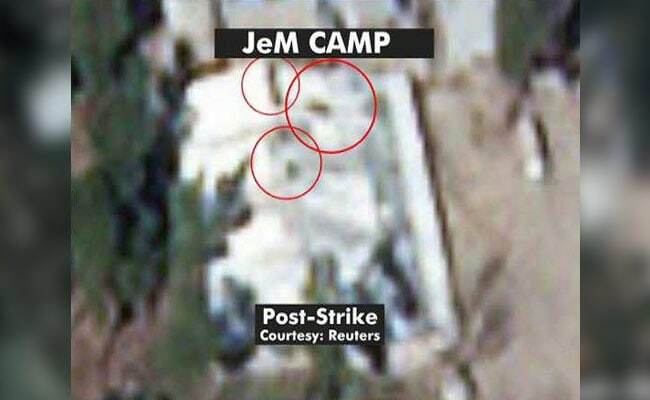 According to Colonel Vinayak Bhat, a retired satellite imagery expert, the images accessed first by The Print “show four dark spots on roof, missing tents and burnt earth but walls and buildings intact”. He, however, said it was not up to the IAF to “count casualties” on the ground. Government sources have indicated off the record that up to 300 terroristsmay have been killed in Balakot but has not released any evidence of this yet.